Tiny Toones were recently visited by professional photographer Jeremie Lusseau. 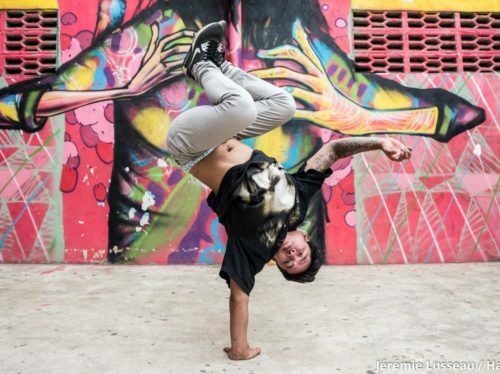 Jeremie got a glimpse of life here at Tiny Toones and produced some stunning images of our students. 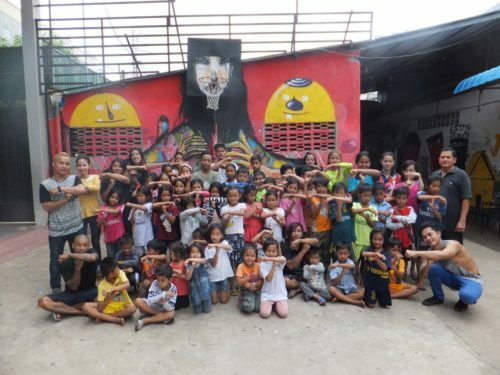 In 2016, renowned street artist David Choe visited our centre. As well as spending time with the kids, he produced an original piece for one of the walls at our centre. We are also very grateful to David for the support of his foundation. In early 2013, Tiny Toones was fortunate enough to be visited by the internationally acclaimed DJ Koflow. 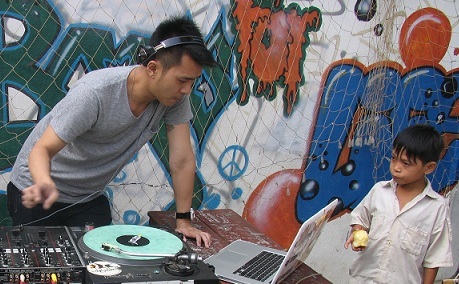 Hailing from Singapore, Koflow’s won a number of awards including first runner up at the Singapore DMC Champion 2003, Juice Magazine Best New DJ 2003, Best Musician at the Nike StreetStyle Awards in 2004, Honorable Mention for Juice Magazine Best Independent DJ 2004 and first place at the Heineken Thirst Singapore 2005. He put on a sensational performace in the courtyard of the Tiny Toones centre. Afterwards, he pulled aside some of the music teachers to show them some tricks of the trade and inspire them with his talent. Akil of the acclaimed Jurassic 5 in the USA has visited Tiny Toones a number of times to hang with KK and share his skills with the music department here. The Tiny Toones rappers and DJ’s have work shopped and freestyled together and even done some live performances in clubs around Phnom Penh. Akil also played a part in our now famous song ‘Tiny Toones Worldwide‘ and features in the film clip. In 2010 AZI travelled from Philadelphia and spent some quality time with the guys in the music department at Tiny Toones. They rapped and freestyled with our guys, made two songs together and even a video clip. 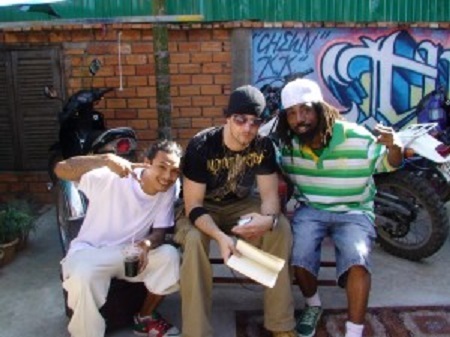 A song was written in collaboration between AZI, Tiny Toones and Klapyahandz and a video clip made together. The song was written about Cambodia and can be listened to and viewed here. Tiny Toones also performed live in a club in Phnom Penh with AZI.